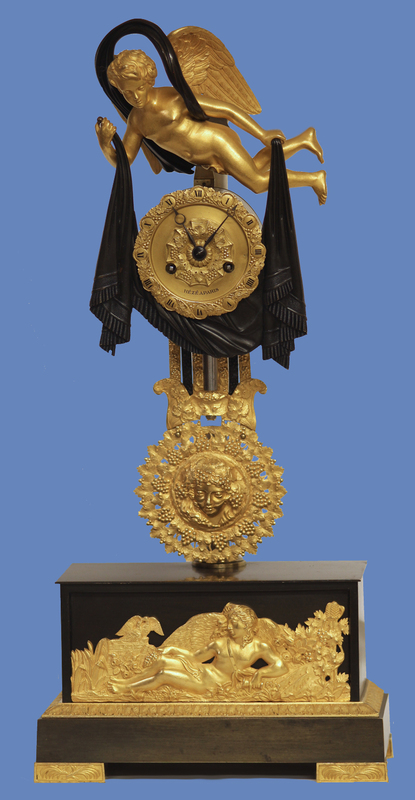 c.1830 French Ormolu, Patinated and Silvered Mantle Clock. 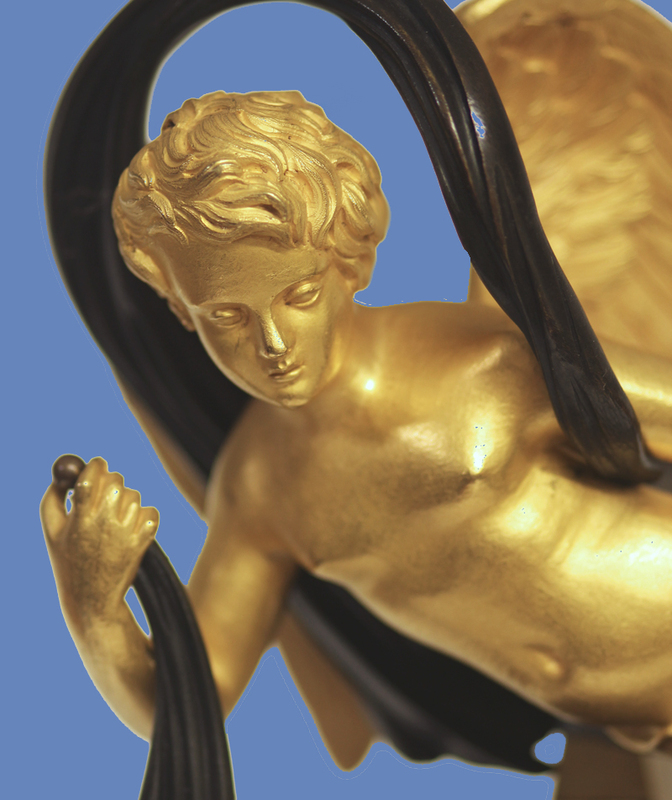 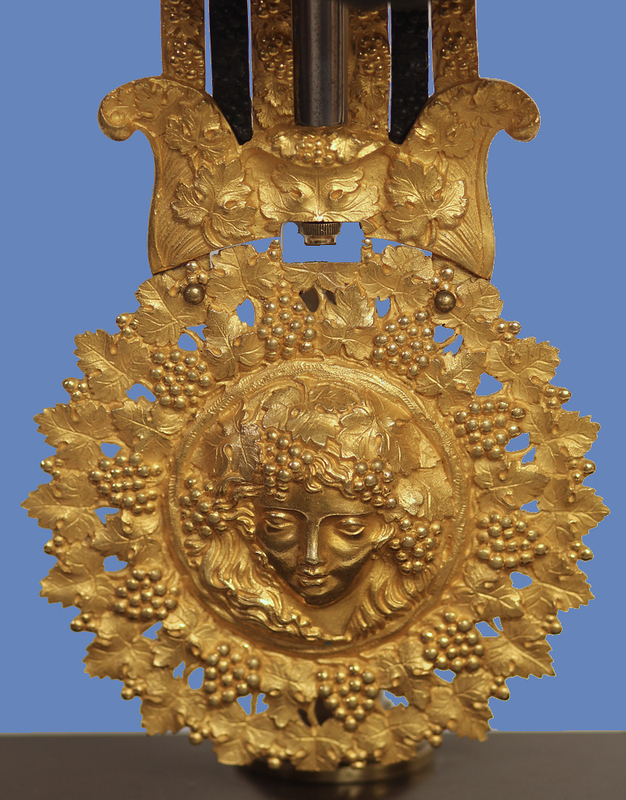 The case depicts an ormolu cherub holding a patinated drapery supported by a silvered column. 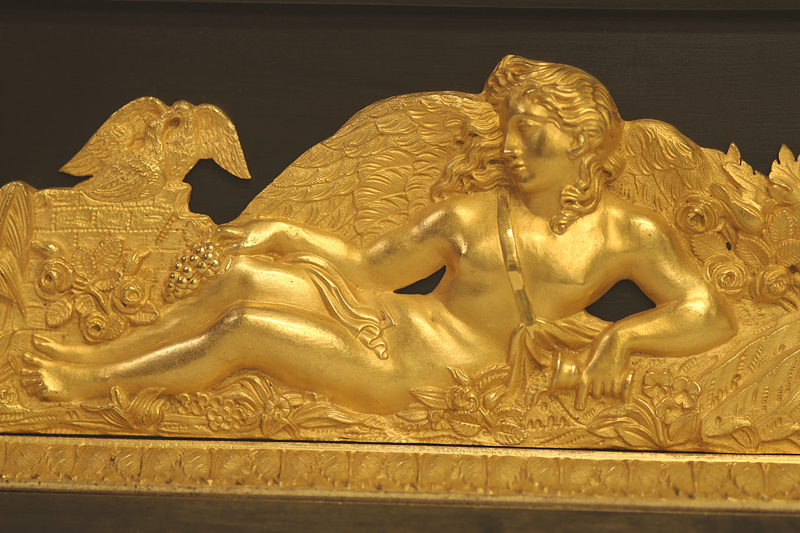 The whole stands on a patinated base with ormolu mounts that include cast rectangular feet and a recessed applique that depicts a reclining cupid. 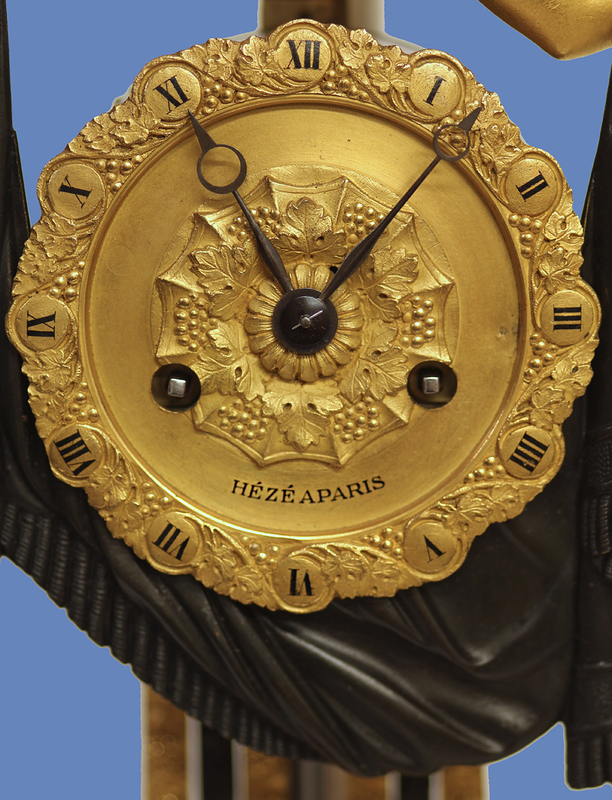 The cast ormolu dial has a smooth recessed interior chapter, black Roman numerals for the hours, steel Breguet-style hands and is signed by the maker, ‘HÈZÉ A PARIS’. 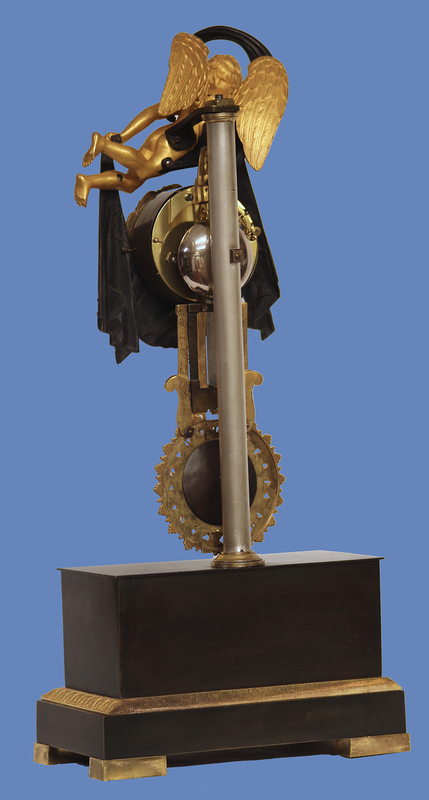 The eight-day time and strike movement has a steel suspension and count-wheel striking on a bell. 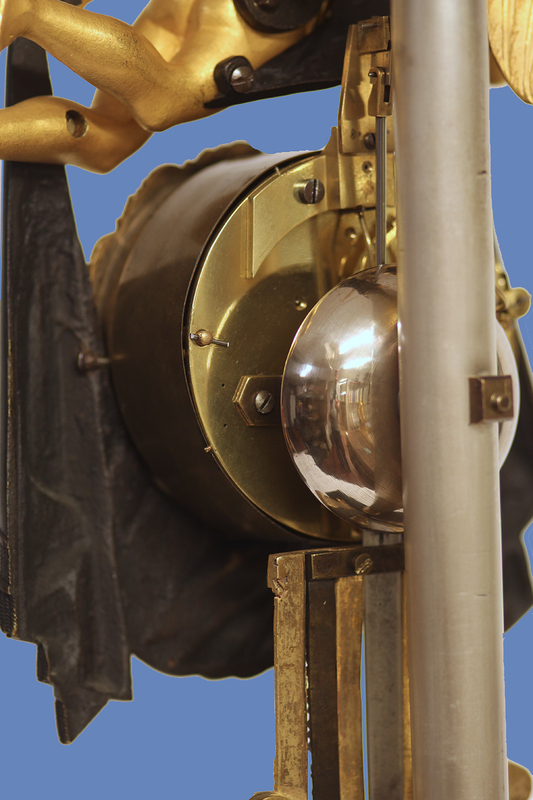 The cast bi-metallic pendulum has a decorative ormolu bob and has a screwed fast/slow adjustment. 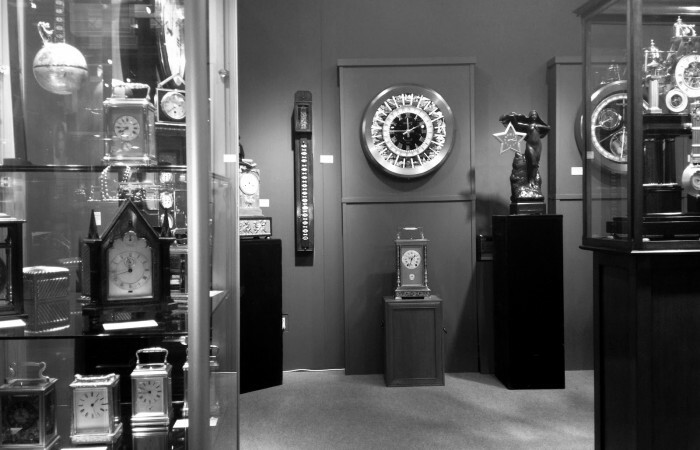 For a similar themed clock see: Sotheby’s, ‘The Joseph Meraux Collection’, June 1993, Lot 284.